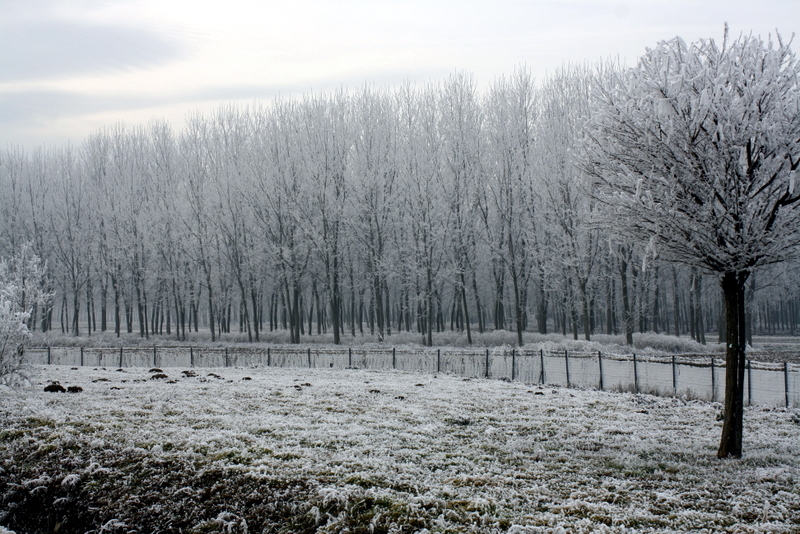 The other day I was driving on my way to do some errands and came across this scenery in Piemonte. 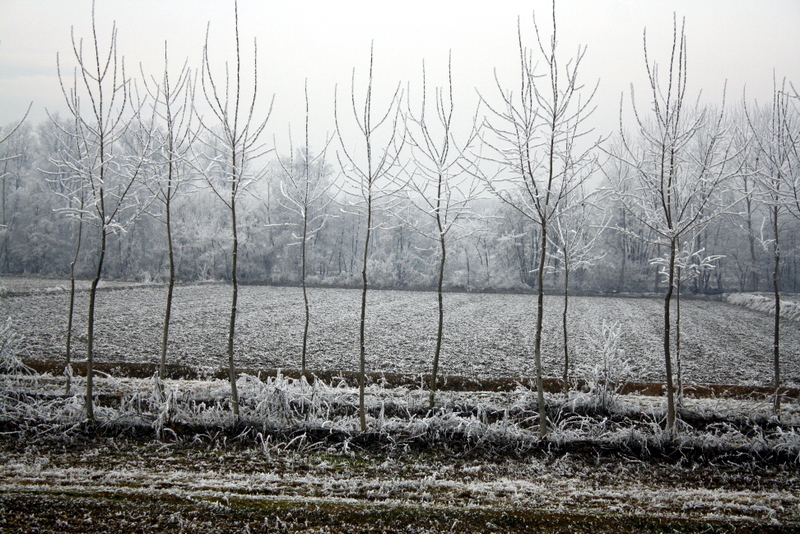 The whole countryside was white, frosty and covered in a thin layer of ice. I felt like I could have been on a back country road in Quebec in the middle of winter. These photos were taken 15 minutes from my house where it was sunny and no ice or snow was to be seen. 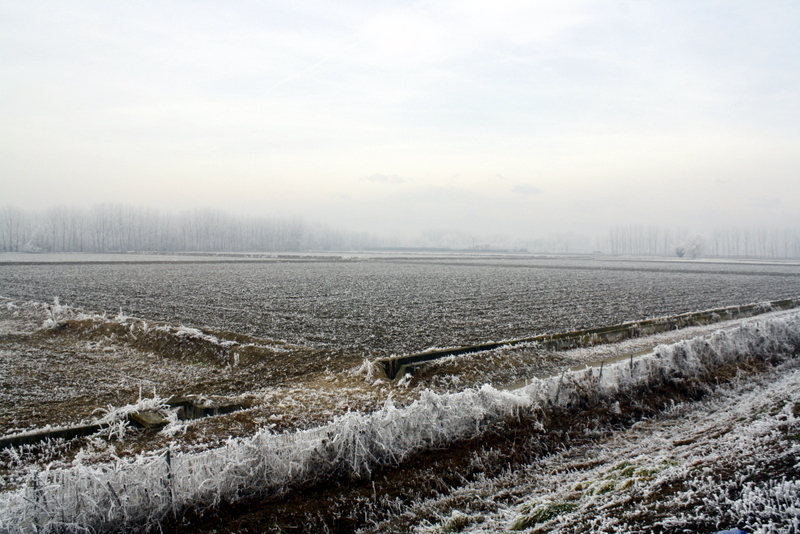 As you can see, the risotto fields are covered in frost and ice. I don’t know if this will affect the crops this spring but in any case it was a beautiful sight to see. It is indeed a lovely area with lake and mountains and everything in between. I’m just in shock at how cold it is at the moment. It’s supposed to be -20 this week! I escaped Canada due to weather like that. 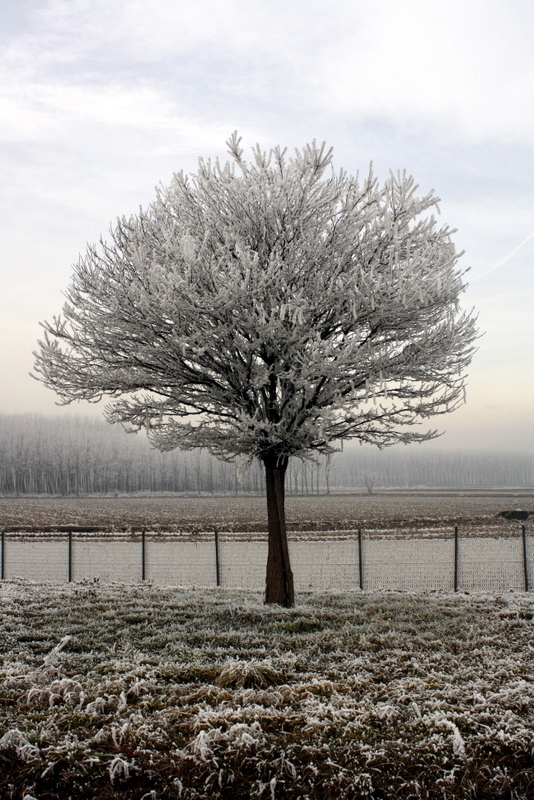 Isn’t Italy supposed to have a mild and pleasant winter? We are on the other side of the lake close to Angera. Lesa is a very pretty area. The villas over there are gorgeous! And you? What area of Italy are you living in?